IFEATWORLD reports on IFEAT’s activities, annual conferences, study tours and shares valuable information with members and stakeholders in the flavour and fragrance industry. It includes reports on scientific and technical issues, as well as features on specific products. 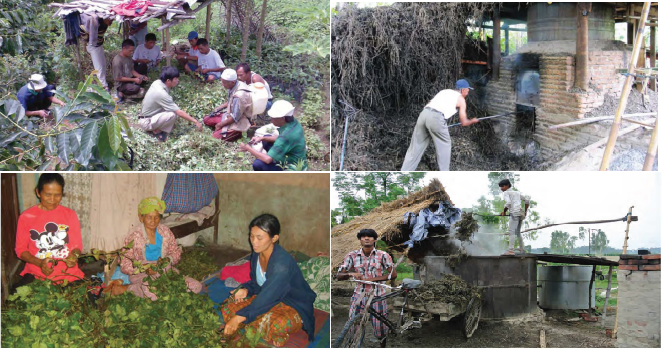 IFEATWORLD publishes IFEAT socio-economic reports which discuss the critical importance of individual naturals to the livelihoods of people in specific regions of production. The publication also provides updates on IFEAT’s important education programmes, and keeps stakeholders informed of regulatory and legislative developments affecting our industry. IFEATWORLD is distributed widely to our members and non-members across the world. If you are a member of IFEAT and you are signed in, you can download past conference proceedings. Please remember to log in to view the content of the conference proceedings page. Click here to go to the conference proceedings page if you are logged in. The IFEAT Socio-Economic Sub-Committee has commissioned 12 reports on the socio-economic impact of the production of specific naturals in certain parts of the world. This is an important project as it is designed to give an estimate of the number of people, families and communities involved in local production, processing and trade in these products. As legislation becomes ever tighter in importing regions, at the same time as social and economic issues in developing countries are taken increasingly into account, this work is expected to be useful for IFEAT in future legislative/regulatory discussions. The reports are being published in the IFEAT newsletter, IFEATWORLD, and uploaded to our website for members’ access. Over the past decade, IFEAT study tours have gone from strength to strength. They are proving to be a great learning experience – in the company of other industry specialists, who might be competitors but become good friends. This facilitates the growth of the international IFEAT family. While each study tour follows a similar format they remain very different, predominantly because of the country and companies visited as well as different participants. The study tours have a number of objectives. First, to gain a clearer understanding of the various processes, capabilities and set-up of different facilities producing and processing essential oils, aroma chemicals and F&F ingredients in the country being visited. Second, the tours provide opportunities for participants to meet up with key producers, processors, importers and exporters in the F&F sector in the country. Third, the tours enable participants to meet up with other knowledgeable F&F industry people from a variety of countries and continents. Each tour has been an incredibly international and multi-generational group. Travelling together over 6 to 12 days, the wide range of expertise and knowledge on hand make them remarkably useful and informative.